We will not be beat! Whether you’re just thinking about it or you’re already in the planning stage, it’s important to hire experienced people to handle your pool installation project. By having skilled pool installers, you can expect outstanding results that are just what you expect. Now, before you consider the services of other companies, why not choose Nolascapes Landscaping & Design LLC? Our company has installed countless pools across New Orleans, Uptown, West bank, Harahan, and other nearby areas. The pools we worked on are noted for their sheer beauty, functionality, and durability. We maintain a high level of excellence throughout the entire installation process – from planning stages to finishing touches. If you want samples of our past projects, feel free to message or call us at (504) 250-3910. We’d be happy to help you get that pool you’ve always dreamed of. Nolascapes Landscaping & Design LLC employs some of the most trusted pool installation experts in Louisiana. While other companies are just as accomplished as we are, we are different from other service providers for our lengthy experience creating out-of-the-box pools courtesy of our creative crews. Meanwhile, we have ready access to topnotch materials and supplies, which means that we can get the right materials for the job. Our resources, on the other hand, are complete and appropriate for every facet of the project, so every installation job is completed on time and according to clients’ demands. In short, we have every advantage needed to create world-class pools that make our clients proud and satisfied. When it comes to installing our customers’ desired pool amenities, we are confident that we can meet and even exceed their expectations and project requirements. 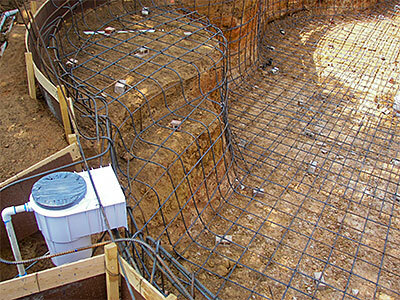 We can build any type of pool for residential and commercial clients, whether aboveground or in-ground. Through the years, we have proven that our crews are capable of installing pools of any size, design, and functionality. Our pool installation crews are truly the perfect people to hire for this specific job. Concrete pools. When a large-sized pool is what you desire, a concrete pool type should be your obvious pick. Concrete pools are highly sought-after not only for their proven durability but also for the limitless design possibilities that they offer. While they may cost more than other materials, their length of service surely more than make up for such. Vinyl pools. If you want a low budget pool that offers excellent design flexibility, then a vinyl pool is an ideal choice. It has a non-abrasive surface so it is user-friendly plus it has non-porous surface so you won’t have to worry about algae growth. Fiberglass pools. Pools made of fiberglass are known to be low maintenance, non-abrasive, easy to install, and beautiful. They are among the most popular pool types for these great reasons, which make them a great option for you. Please contact us today so we can further discuss your pool options and how we can incorporate your ideas to create the perfect pool for your property. Hope to hear from you soon!